We take great pride in the Organic Artisan Breads we make each day. 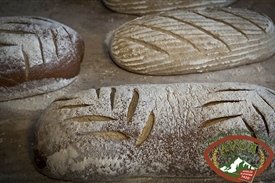 We use CERTIFIED ORGANIC FLOURS that are milled in Colorado and Kansas. By riding the flour of unwanted pesticides and bleach (yuck!) 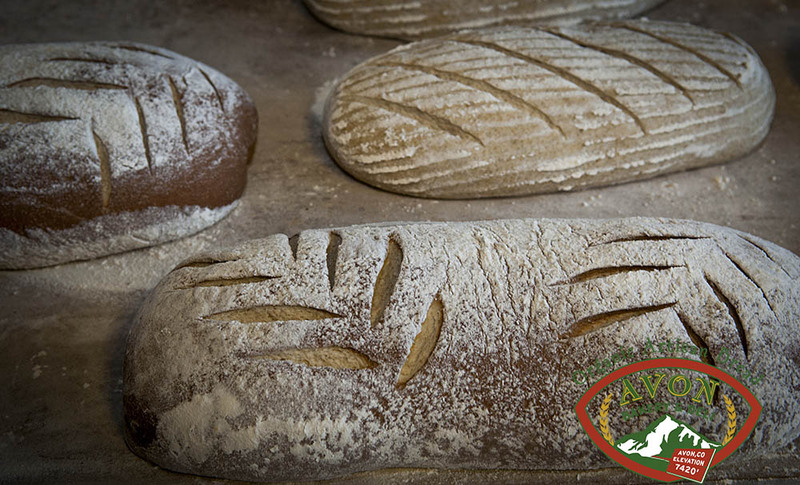 we are left with only the best possible ingredients to make our breads each day. The long fermented dough is hand shaped, cold proofed over night and then baked in our Italian Steam Injected Hearth Oven. 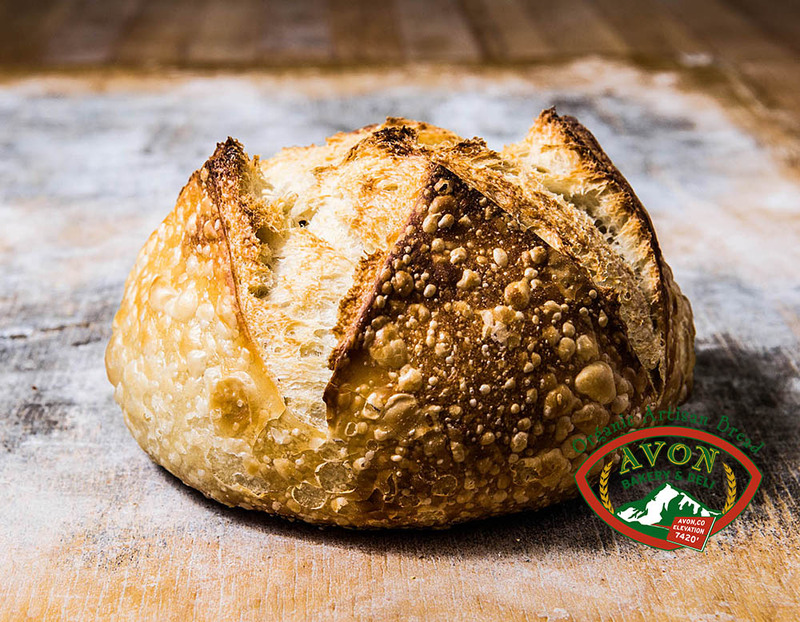 This slow process of baking with the introduction of natural sourdough ensures the highest quality and finest tasting Artisan Breads in Colorado. 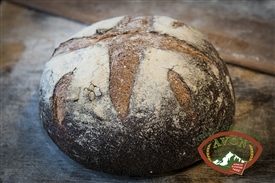 A dark whole wheat rye combination mixed to perfection with cocoa, coffee and molasses that gives it a truly unique taste and color. 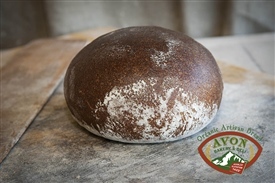 Ingredients: Organic wheat flour, organic whole wheat flour, and organic rye flour, coffee, cocoa, sour dough starter, filtered water, sea salt, yeast and molasses. Classic Italian flat bread baked with an earthy hard crust and airy delicate center. Ingredients: Organic wheat flour, filtered water, milk, blended olive oil, sea salt and yeast. A soft whole wheat bread accented with honey and polenta. 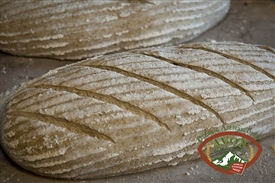 Ingredients: Organic wheat flour, organic whole wheat, filtered water, honey, polenta, sea salt and yeast. 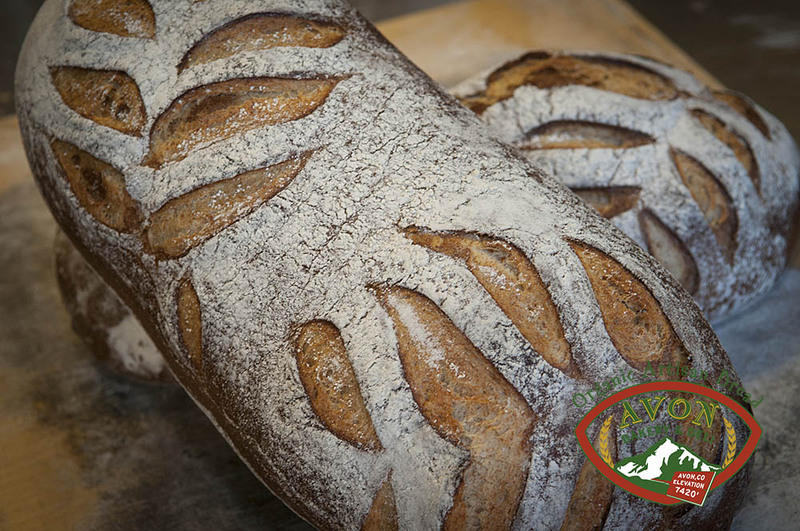 Ingredients: Organic wheat flour, filtered water, sourdough culture, and sea salt. A hearty, thick crusted rye with hint of sour. 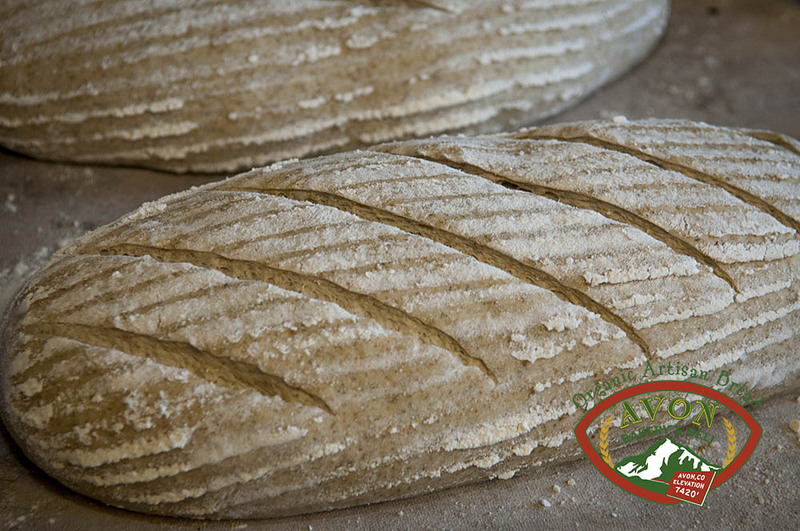 Ingredients: Organic wheat flour, filtered water, organic whole rye, sourdough culture, sea salt and yeast. Sourdough studded with Calamata olive and scented with fresh rosemary. 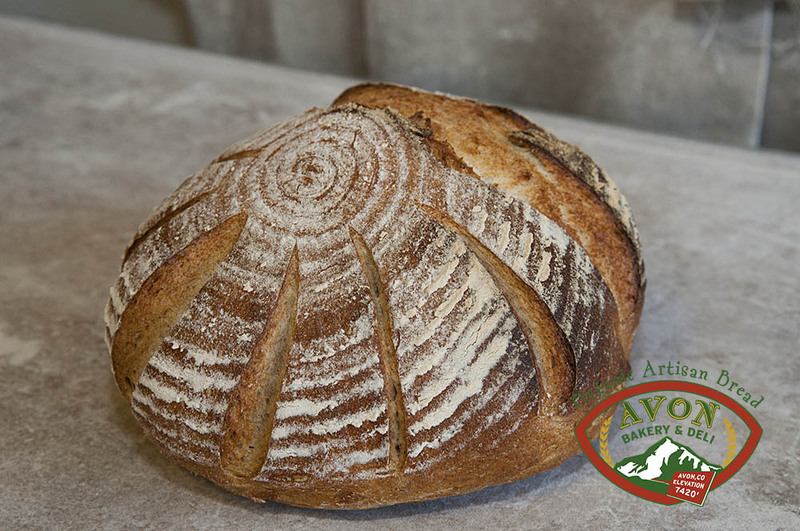 Ingredients: Organic wheat flour, filtered water, organic whole wheat flour, sourdough culture, sea salt and fresh rosemary. 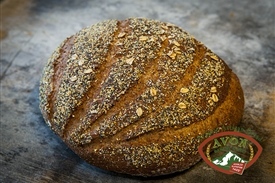 An artistic marriage of Rye and Pumpernickel with a soft crust and a sweet and sour crumb. Ingredients: Organic whole wheat flour, filtered water, organic rye flour, sourdough culture, molasses, coffee, cocoa, sea salt and yeast. Roasted red bliss potatoes baked to form a true Artisan soft crust, accented with dill. Ingredients: Organic wheat flour, filtered water, potatoes flour, milk, roasted potatoes, sourdough culture, sea salt, dill weed and yeast. A little bit of everything! 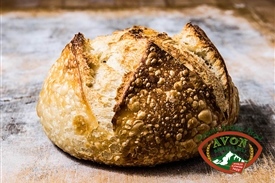 This bread has a thick exterior crust with a soft doughy center packed with grains and seeds. mmmmm. Sourdough shaped into a baguette with multi grain seed mix. 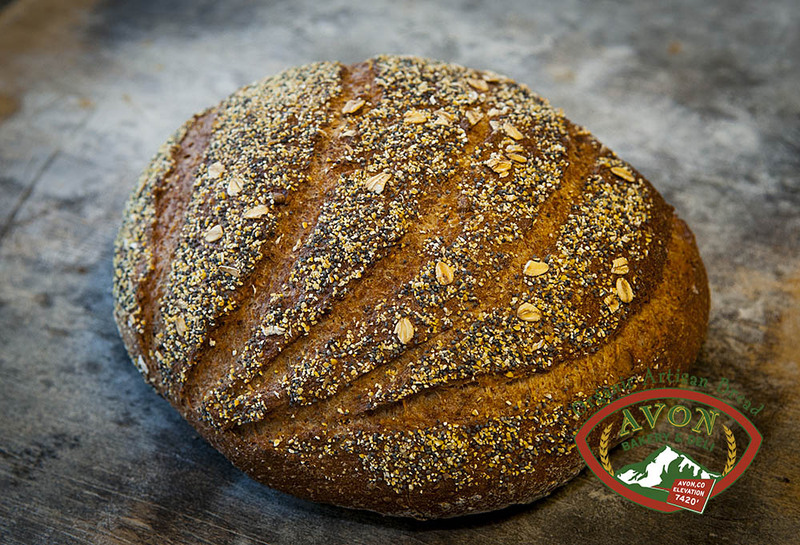 Ingredients: Organic wheat flour, filtered water, sourdough culture, flax seeds, polenta, sunflower seeds, sesame seeds, poppy seeds, bulgur wheat, rolled oats, and sea salt. Ingredients: Organic wheat flour, organic whole wheat, filtered water, toasted walnuts, honey, polenta, sea salt, and yeast. 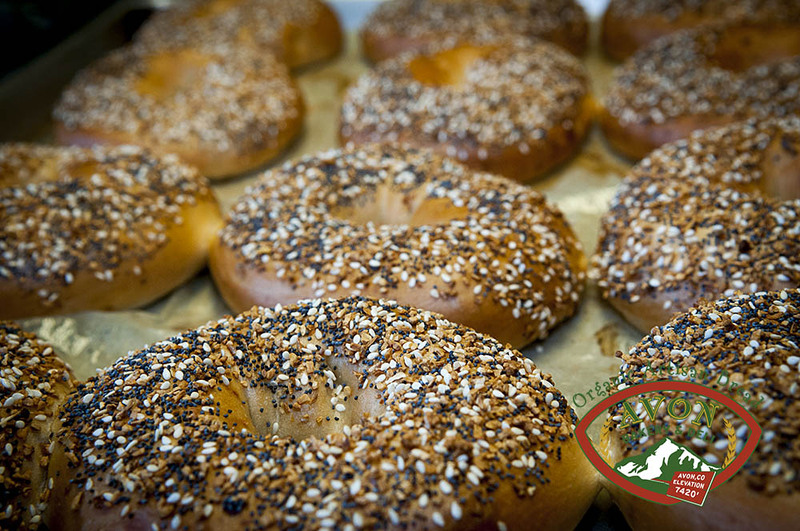 Ingredients: Organic whole wheat flour, filtered water, organic semolina, organic durum flour, extra virgin olive oil, sea salt, toasted sesame seeds, and yeast. Sourdough shaped into a bowl for soup. Ingredients: Organic wheat flour, filtered water, sourdough culture, sundried tomatoes, roasted garlic, olive oil blend, and sea salt. Ingredients: Organic wheat flour, filtered water, organic whole wheat, organic whole rye, sourdough culture, and sea salt. Ingredients: Organic wheat flour, filtered water, sugar, butter, egg yolks, honey, raisons, candied orange zest, candied lemon zest, sea salt, vanilla, and yeast. Ingredients: Organic wheat flour, filtered water, milk, blended olive oil, Italian herbs, sea salt, and yeast. Ingredients: Organic wheat flour, filtered water, whole eggs, egg yokes, sugar, vegetable oil, honey, sea salt and yeast.